GP Premium 1.8 is now in beta testing! This is a huge update with tons of new features. You can update the new version in your Dashboard if you’ve enabled beta testing. You can also download the latest beta version inside your account. WooCommerce was a big focus of ours in this update. We’ve added new features, and improved existing ones. We’ve also improved the design in some areas. 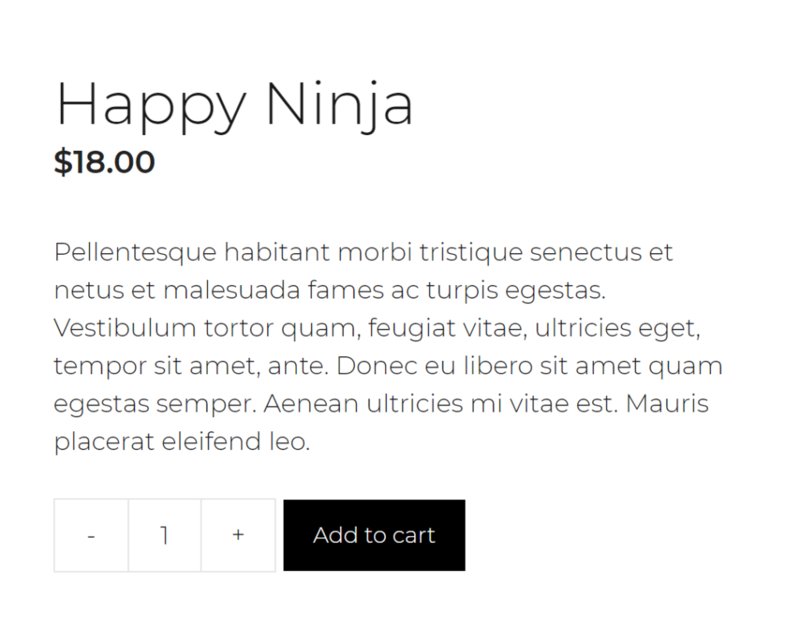 You can now add a mini cart to your cart menu item when you hover over it. This mini cart can be styled using color options in the Customizer. By default, the cart menu item displays the total cost of the items in your cart. You can now change that to show the number of items instead. When you add a product to your cart, you can now enable a sticky bar which will appear with a checkout button. On single product pages, you can choose to show an add to cart panel once you pass the add to cart button on the page. We’ve added + and – signs to your quantity fields, and designed them to better fit with the add to cart button. This option is on by default, but can be turned off in the Customizer. The area which holds your single product image can now be adjusted directly inside the Customizer. One of our more popular requests is to use the navigation as your header. This is useful if you’re looking for a slim alternative to a classic header. Previously, you’d have to disable the classic header, add a navigation logo to your navigation and set the placement of the logo to Sticky + Static. While this process works, it involves a lot of steps. In 1.8, we’ve removed the Navigation Logo and placement options if you’re not using them, and added a Navigation as Header option. This option will only show up if you’re not using a Navigation Logo. This options vastly simplifies the process for you, while giving you more control. You no longer need to upload a different logo, as it will use your logo set in Customize > Site Identity. If you don’t want a logo, you can just use your site title by leaving the Hide site title option un-checked in Customize > Site Identity. The site title color and typography options can be altered in Customize > Typography > Header as usual. We’ve had a slideout navigation/widget area for a while now. In 1.8, we’ve added an option to turn it into a full-screen overlay. We also re-named “Slideout Navigation” to “Off Canvas Panel” throughout the theme. You’ve always been able to upload a logo for your mobile header. Now, you can choose to use your site title instead. Elements like the header, sidebar widgets and footer widgets now have mobile padding controls. Previously, you weren’t able to adjust the amount of space between your featured images, title, entry meta and footer entry meta. Now, you’re able to do so inside the Customizer. The importer received a little love as well. We re-designed the process and simplified it a bit. We’ve added a new option to the Layout Element that allows you to set a custom width for you content area. This is particularly useful when not using any sidebars, as a narrow content area makes your content much easier to read. In each of these panels, we have various sections, which are consistent throughout each panel. We experimented with merging the Colors, Typography and Background Images section into one section, but things quickly became quite messy/confusing. So instead, we came up with a shortcut system to take you between panels easily. Somewhat related to the Navigation as Header option above, you can now upload a different logo for your sticky navigation. This option will only appear if you don’t have the deprecated Navigation Logo option set. You can now choose when the mobile header initiates. By default, it happens at 768px. Once GP 2.3 is released, this option will also apply to the regular menu if the mobile header isn’t activated. Elements are now translatable using popular plugins like WPML and Polylang. We’re super proud of GPP 1.8, and hope you like the new features! As I said above, this is currently an alpha version, so use caution when using it on sites with traffic. If you have any bug reports or feedback, please report them in our forums. No changes! Onto release candidates. A few weeks ago, a friend asked me how to change arrowto minus, plus, I inserted code into functions. With this GP 1.8, my friend will be able to change without code. Change list looks great, can’t wait to try it out! On the forums you mentioned there will be some new sites within the site library for 1.8, will these be released as part of beta/alpha testing or only when properly released? Amazing work as usual Tom. Huge update. Loving the menu mini cart feature! Lovely. Great update. Have you tested the new WooCommerce option with the petformatters plugin? Thanks. Looks fantastic, especially for a couple of Woo sites I do (one that I need to migrate to GP/GPP!) — awesome work, thank you Tom! Any update about substituting SVG or something else in place of the “generatepress.woff2” font? I’ve seen comments on this and I’ve been doing a lot of testing. That particular file, even though tiny, causes a bottleneck, adding half a second or more to the page load time. For my page it added 670 ms to the load time. Excited about these other improvements by the way. Don’t want to sound like a chronic complainer. Lol. I’m sure there is a solution it, but I have no idea what it would be. You have no idea how desperately non-CSS-coders need this. Thank You so much! Great job again brother. Do you have an anticipated launch date for 1.8? Man, I’m so happy I found your theme, this update looks great. One thing I would love is a quick color changer. 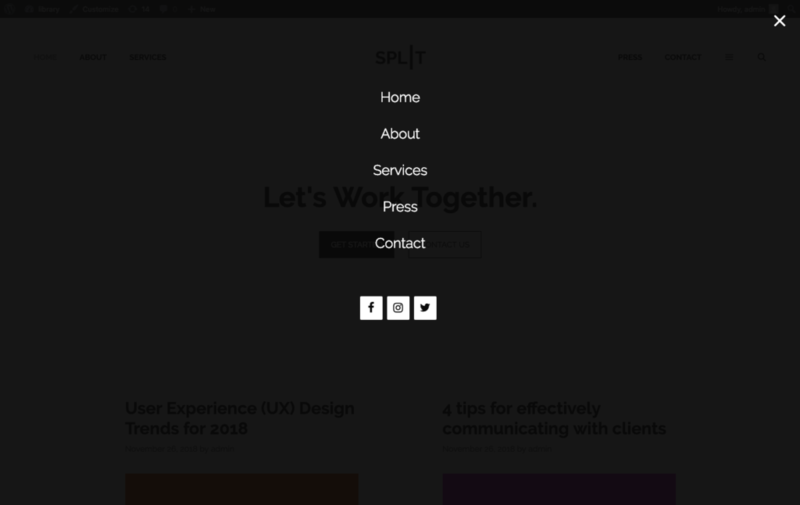 Like the presets for the primary navigation but instead some that change the whole website. This looks like a great update, as always. I’m pleased that you’ve included the “Improve product tab design to look more like tabs” for Woocommerce. Is there any chance that you could add a border around the tab content as well? At the moment, the tab titles look “tabbified”, but the content undereath doesn’t look like it’s attached to the tab (if that makes sense). amazing update. When do you think (approximately) this comes out of the testing phase? Thanks. Wow. That looks promising. What a great list of USEFUL improvements. I am not into WooCommerce, but the rest… Can’t wait! Hi team. That’s a BIG update, looks great! Love the minicart, and many other features. Is there any place where to request for new features? I have some expectancy for a closer Gutenberg integration. Knowing your way of working only can be expected great things. Nice list of changes but I’m a little disappointed to see svg icons have not been implemented for the menu, search, etc yet instead of loading a separate GP icon file. Seems like an easy change to make and would be a great speed boost. 3. It would be good if the pop up of adding product to the cart could be placed as the slideshow (to the side and with a dark background). It would also be nice to include the view cart button in addition to checkout. I look forward to the final version to install it on my production site. 1. The issue here is there isn’t enough room for variations in the panel. 2. Will take a look at this. 3. It can be altered using CSS quite easily – happy to help with that kind of stuff in the forum. Hello Tom! Thanks for answering. I hope my opinion is taken into account, because as I mentioned before, the vast majority of my products are variable. 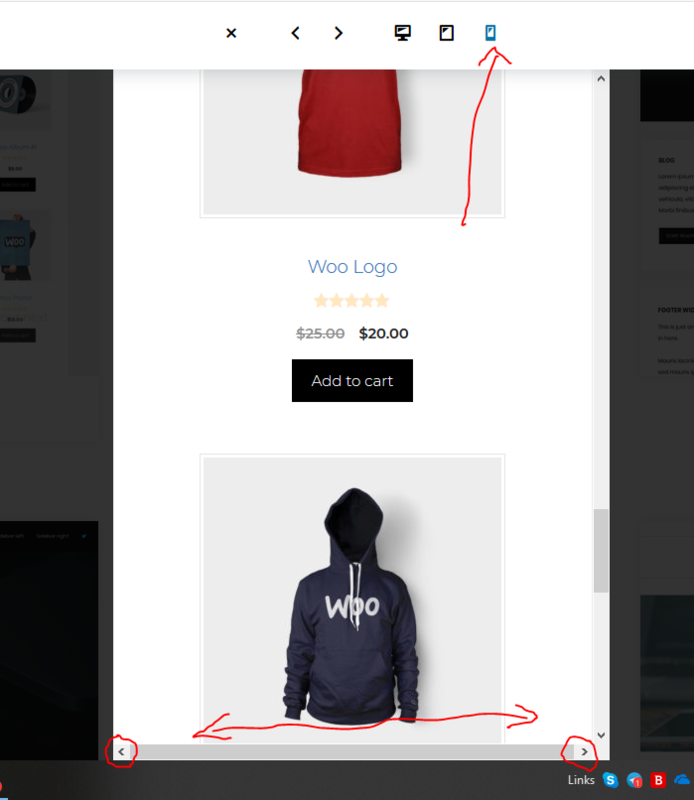 I see that the pop up when a product is added to the cart only shows on the pages of the store, but it does not appear on the page of the individual products. Great work Tom, it sounds like you and your team have made lots of improvements. I am excited to use it on our live site once it comes out of Beta. Did you happen to implement better image resizing? I am currently working on making my images rescale or resize properly between mobile and desktop, without loading large image files when not needed. there seems to be a bug in the current Beta Version with the Improved Quantity Fields or “Add to Cart” botton CSS in combination with the plugin “WooCommerce Upload Files”. Any chance to look into that? Can you link us to a page where we can see the issue? I am currently testing on a test environment with protected htaccess. can i send you the access via PN? Just be sure to mention the issue we’re looking for as well. Hello Tom and greetings from Italy really a great job. Congratulations also for the new plugin. your profile picture with your baby is always beautiful. I love the new update. Is it possible to have Infinite Scroll and Quick View for products? 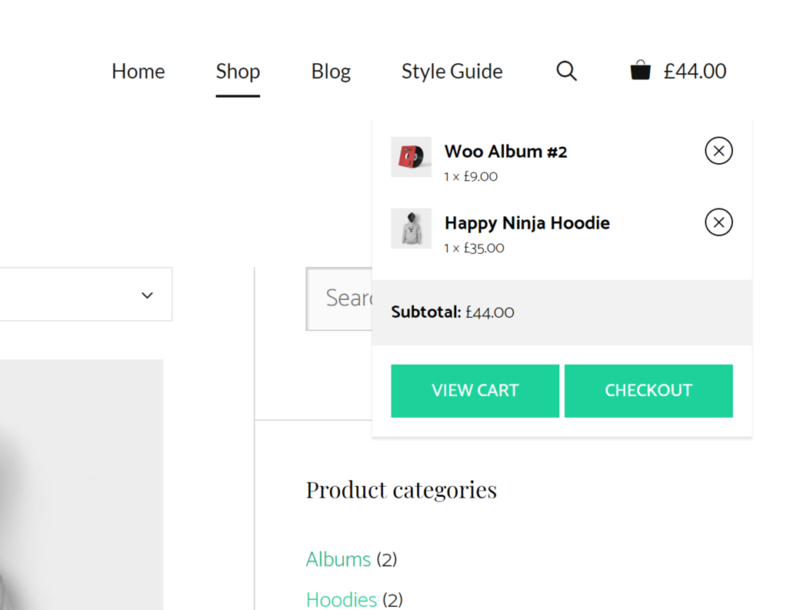 Another feature that would be greatly useful to us in 1.8 and pretty easy to implement would be the ability to swap the content and image in single WooCommerce products. Having the image on the left has never made any sense to me in terms of usability. A single toggle for that would be great! kindly can you add with this update a way to change WooCommerce default login form appears with a smartest ways to customize WooCommerce checkout login and”my account” page. Really like the new options, especially since I have three Woocommerce installs (across various sites). Looking forward to trying it out. Thanks for the hard work! We will be launching our company blog in a week or so and I really wanted that full screen slide out menu but since the overlay was closing the menu I decided I wouldn’t work too much on trying to make it work with custom coding but this new release is coming with it! How exciting! What do you guy would recommend? Waiting for 1.8.0 to be official or I should/could use it for our blog release? Wow, big positive news on the logo/header nav thing! I should have waited. 😉 Now I wonder if I’ll blow everything up by upgrading and/or if I should migrate to the new approach. Hi Tom, I think I found a bug. Layout >> Blog, I can’t display a read more link or button. Tested it on 1.8.0-alpha.2 and on the newest version aswell. Can’t reproduce this one. What happens when you check the box and save? Does the box stay checked? Can you link me to your blog? I have imported blog posts from my older Website where the Classic editor was enabled into my new Local Site that uses Gutenberg. Those posts are missing the excerpt and the read more (I guess the read more wont show if the excerpt is missing). But when I create a new Post with Gutenberg its works just fine. Will I still need to do that in 1.8 and if so, will it still work by replacing that same code in the class-hero.php?